Henry is the CeNCOOS Director. 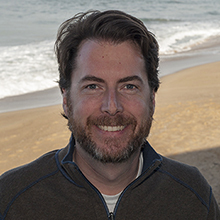 Henry was an MBARI Postdoctoral Fellow (2006-08) and then an adjunct from 2014 until now. Henry comes to MBARI, after serving as the Head of the DeepSeas Group, and Associate Head, Ocean Biogeochemistry and Ecosystems Group, National Oceanography Centre, UK since 2010, and prior worked as a Research Scientist (2008-10); also at the National Oceanography Centre. Henry earned his PhD in Marine Biology from Scripps Institution of Oceanography.